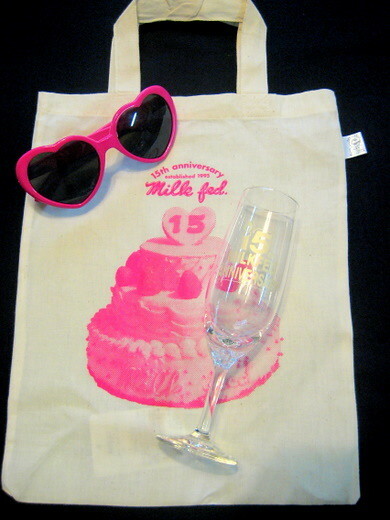 Milk Fed 15th anniversary party gifts are a lovely sunglasses, a champagne flute and an eco bag with Hiromix photo. 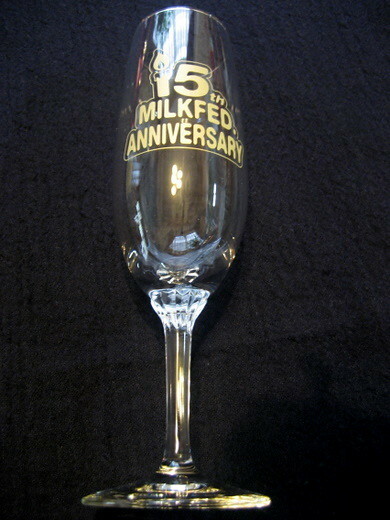 Go Go Milk Fed! 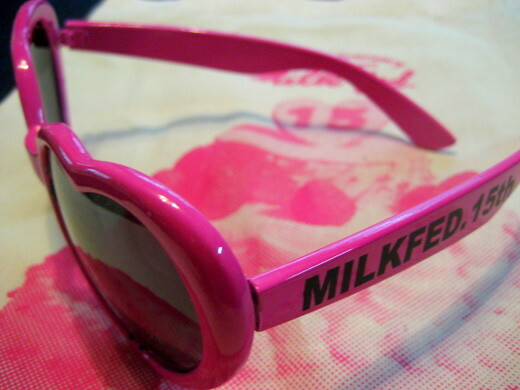 Milk Fed Rocks My World.